I spent a six week stint in Brazil in the fall of 2015, five of which were in Salvador, Bahia working on a project called Perto de Lá ("Close to There"), in collaboration with Lanussi Pasquali and Joãozito Pereira. 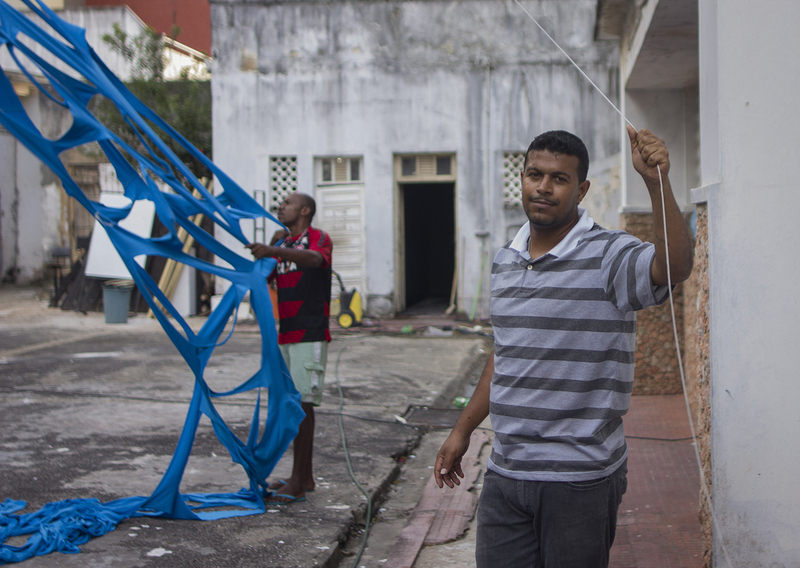 This project was developed under the umbrella of their organization Projeto Ativa, whose short-term goal is to create spaces for contemporary art experimentation in abandoned or under-utilized buildings managed by IPAC (Instituto do Patrimônio Artístico e Cultural da Bahia), which oversees a network of Salvador's major museums. Ativa's long term goal is to build on this network in order to "activate" and stimulate new kinds of contemporary art production. 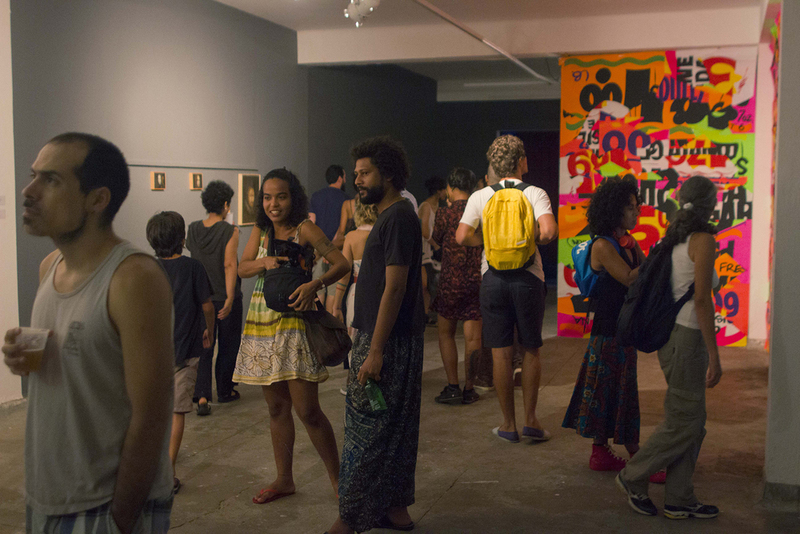 They had already done one exhibition in the Galeria do Jardim--a 1200 square foot space they carved out of an obsolete storage building behind the Museu de Arte da Bahia--and we began planning Perto de Lá as a continuation of that effort. Our strategy quickly snowballed into a large group exhibition, three weeks of multidisciplinary programming, a series of site specific installations, dance parties, and performances. We settled on the name "Perto de Lá" thinking not only in terms of bringing distant artistic communities (Salvador and Chicago) together, but also a way of imagining a future possible ecosystem for contemporary art. It's in many ways an oxymoron: a joining of things that are categorically distant from one another (in Portuguese "lá", as opposed to "alí", is a "there" that is not immediately visible or physically present). We wanted "Perto de Lá" to support Projeto Ativa's mission of activating artistic practices not only be opening up a new exhibition space but also by setting up possible future exchange or cross-pollination by inserting Chicago artists into the mix. With Brazil going through multiple crises, our plans of a second annual event in 2016 were postponed, but our long term intention has been for Perto de Lá to continue building relationships between Chicago and Salvador's artistic communities as well as branching out to other cities. In 2018, Comfort Station was awarded a $50,000 International Connections Fund grant from the John D. and Catherine T. MacArthur Foundation to produce the second, larger iteration of Perto de Lá.